If you’re looking for a tree surgeon in Balham then South London Tree Surgeons can help. With more than 10 years experience providing a range of arboricultural services to customers in Balham, we’ve got the tools and experience to help you no matter how big or small the job. Tree surgery is a wide ranging term that covers a number of common tree surgery Balham tasks such as crown reduction, crown thinning, crown lifting, reshaping and general tree maintenance. Our arborists use the latest tree surgery techniques and equipment to carry out a variety of projects, so today for a free, no obligation consultation. 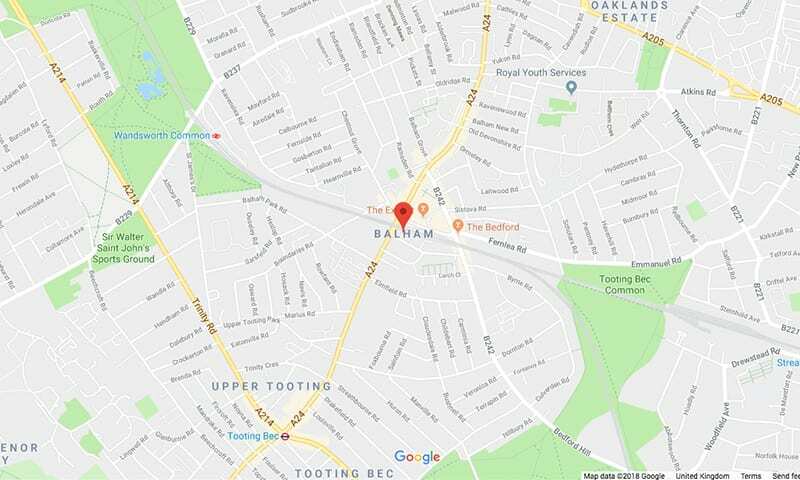 If a tree has overgrown its natural boundaries or has ended up in a precariously dangerous position then a full tree removal in Balham may be needed. Our team of professional tree surgeons Balham will work with you to create a safe, hassle free environment in which to carry out the tree removal and will remove it once successfully completed. Tree pruning is a great way to open up sight lines as well as increasing air and light flow throughout your trees. Our tree surgeons Balham will advise you on the best way to tackle this type of project whilst keeping a natural, open shape to your trees. Without the right tools and training, tree stumps can be almost impossible to completely remove. At South London Tree Surgeons, our professional arborists use the latest stump grinding technology to remove tree stumps in Balham, removing these unwanted eyesores with a minimum of fuss. Tree pollarding may seem like an unnecessarily extreme form of pruning, but the reality is that many species require regular pollarding to ensure that they continue to grow back healthy year after year. If you’re looking to hire tree surgeons Balham for your next project then Contact Us today find out how we can assist you.